Fairy lights are great for creating a pleasant atmosphere in your room; they also act as perfect Christmas or Valentine’s Day home decorations. With so many products of this kind available on the market, each with different features and colors, it might be difficult finding the set that’s most suitable for your needs. To help you, we looked at 10 of the most popular models and wrote reviews for them, describing the products in detail, to make it easier for you to decide. One of the most popular items we came across is this set that contains 300 LED lights arranged in multiple strings. 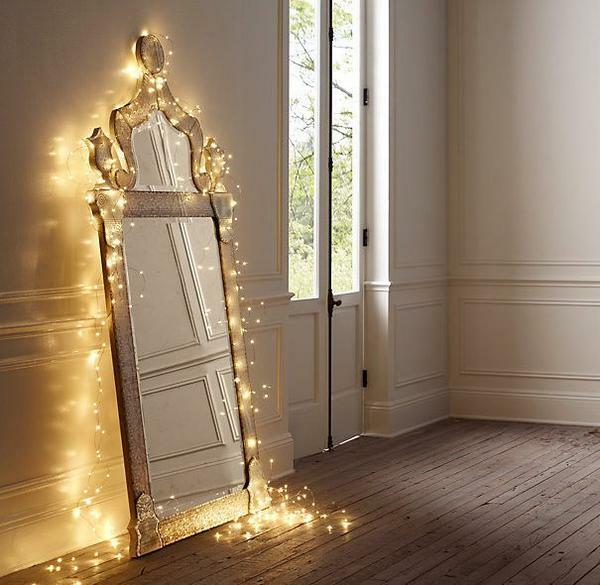 It creates a pleasant, enjoyable light and can be used to decorate rooms for different festive occasions. Its reasonable price combined with many cool features give it excellent value for the money. With eight mode settings provided, it is guaranteed you will find one to your liking. The LEDs illuminate in warm white and are more economical than classic light bulbs. Easy to use, the strings can be arranged on a curtain or door and have been waterproofed for outdoor use. A return or refund policy is also available. With their lovely pastel glow, these lights will make any room more enjoyable. This set is suitable as a home decoration and can be used on numerous occasions; each string of lights is 2.5 meters in length and contains 25 Pastel LED lights. With blue, pink, orange, white and green LEDs, the multicolor set looks great on any wall and can be connected or used together with other party decorations, to create a fantastic atmosphere. Each string is battery operated, requiring AA batteries which are not included in the package. This kit is popular with customers for its excellent value and for being quite durable, too. Another popular choice is this product which provides you with a great party or Christmas decoration without being too expensive or fancy. The string consists of 40 translucent globes and measures about 4 meters in length, optimized for indoor and outdoor use. The globes will create a warm white light which is bright, without hurting your eyes. Battery operated, the waterproofed box and circuits will resist exposure to humidity. It needs 3 AA batteries which are not included, but the set comes ready for use and requires no further assembly. These lovely nightlights are everything you need to brighten up a room. This fairy light string is one of the coolest items available, creating a lovely glow which will bring out the beauty in any room. Perfect for Christmas or New Year’s Eve, it is easy to use and install; thanks to the USB supply, it can be connected to a laptop or power bank too, even though a power adapter is included. Durable and energy efficient, it will save you money without sacrificing coverage or brightness. Designed not to hurt your eyes when looked at, the 66-ft string light contains 200 LED lights both for indoor and outdoor use. Versatile, the model can be used on numerous occasions. Use this product to create a beautiful bedtime moment for your children. Turn the room into a welcoming and comfortable place by placing the lantern near the bed. Casting a soothing, soft light, it is also fully portable so your child can carry it around the house with ease. Power comes from 4 AAA batteries which are not included. The gentle illumination gives a feeling of peace and security without hurting your eyes. To last longer, the lantern features a solid construction which is also lightweight, designed to survive accidental drops and hits. An Auto-Shutdown function is provided, turning it off after 15, 30 or 60 minutes. Easy to use and energy efficient, this fairy light set contains two strings perfect for decorating furniture, beds, bars or trees thanks to the bendable and flexible copper wire. Powered by 2 CR2032 batteries, it can be quickly moved from one place to another or used far away from sockets. Heat insulated copper wire eliminates the danger of overheating, making them safe to use in a Christmas tree. Versatile, this set is suitable for numerous occasions. Outdoor use is only recommended in dry environments without rain. To guarantee for their durability, a 1-year warranty is issued against manufacturer defects. Rope lights are versatile, energy efficient and easy to use. These features, together with the attractive price, make this item very popular. The high-quality PVC shell with UV inhibitor maximizes its lifespan and allows for safe, outdoor use even in humid environments. One neat feature is that it can be extended to 150 feet by attaching more identical products. The 10-ft rope cannot be cut to length, however, as this would render it useless. Connecting multiple kits is fast and requires no tools, as each set has special adapters for the power cords. Ten mounting clips are included with each rope. Flexible and lightweight, this set can be used not only for decorating a room or a piece of furniture but also for finer objects such as glass flower pots. Small enough to fit any space, the 6-ft wire is powered by 2 AA batteries which are not included in the set. A string contains 20 super bright LEDs which illuminate in cold white. To make the operation more comfortable, a timer is included, turning the lights off after a preset period. The bendable copper wire makes this product fit for décor and crafts; since the views are tiny and lightweight, they can be attached to plants without risking damage to them. What is cool about this type of light ropes is the fact that they can be used not only as decorations but also as great reading lights. Made from high-quality PVC with a UV inhibitor for extra lifespan, it can be attached to any piece of furniture including on the bed frame. The 30 feet of rope can be prolonged to 150 feet by attaching more identical sets to its end. This operation is fast and easy, requiring no tools, thanks to pre-attached adapters. The incandescent bulbs are bright enough to allow you to see clearly but are not too overpowering, so as not to be tiring. A more high-end product, this model is a smart, cool looking decoration with a unique and attractive shape. It features energy-efficient technologies which make it cheap to operate, and the durable construction will increase its lifespan. The brown wire is in contrast with the warm white LEDs used for this design. Special material was used to prevent overheating, so these fairy lights are cool to touch. An end-to-end connector is provided so they can be arranged in a string. 100 pieces are included in each package, and these can be organized as you wish. Fairy lights seem to be everywhere these days. And for a good reason. Nightlights for adults comparisons reveal to us that they are effective in creating a magical atmosphere and in making even a bland room look intimate and aesthetically pleasing. These devices cand add an extra layer of good taste to any home if you do your homework well. There are multiple types of lights, which vary in shape and size and that have different tones from warm to cold. So it is crucial to know which one to choose for yourself. The ideal color and style can bring you a lot of joy and a customized experience. And they are an investment for the future since you can buy them for yourself to decorate all your spaces or you can give the coolest models as gifts that will make happy just about anyone. In this ever-growing market, you can get easily confused with the abundance of products, but you need to be reminded that, in the end, your taste is all that matters. The utility of string lights speaks for itself. But finding out which are the best fairy lights, is a tricky task especially when you have a mixture of models to choose from. But we have your back covered, by exposing the essential elements that make such a piece a good choice. We encourage you to think about what you’re going to it for and start from there. Premium items are hard to find if you don’t know what to look for. Some of the crucial aspects to consider are the color of the light bulbs, the shape and how much energy it consumes. If you add up all of those elements, you will get a purchase that will make you happy and satisfied. The chromatic of the product you’re planning to buy matters not only because it needs to match with the other elements in the house, but because some colors are more relaxing than others. Choosing the wrong color might stress your eyes and make you tired when the purpose of such item is exactly the opposite. Like we mentioned, when looking for a fairy light make sure its colors match the ones you have decorated your room with, so it won’t look out of place but rather enhance other items in there. Attach the cable on a focal point that has complementary colors to highlight it. If you are going to use the product in a space meant for studying or relaxation, avoid neon colors that might distract you when you’re supposed to focus. Or, if you want to take your purchase even further, look for lights that have changeable colors. And maybe go for the ones that have the possibility of being dimmed according to your needs, according to many fairy lights reviews. The form of the little bulbs is a great way to ensure a customized experience. There are a lot of them out there, and it is all a matter of taste and creativity. Look for lights that combine shape that attract you with colors that you find relaxing. This is the safest way to a satisfying shopping spree. If you are someone that is particularly artsy, try and find models that come in unique shapes such as letters, flowers or even little animals. And if you want to buy fairy lights but you don’t necessarily have a room or purpose for them, go for items that have a more traditional aspect and neutral colors that you can use for anything. 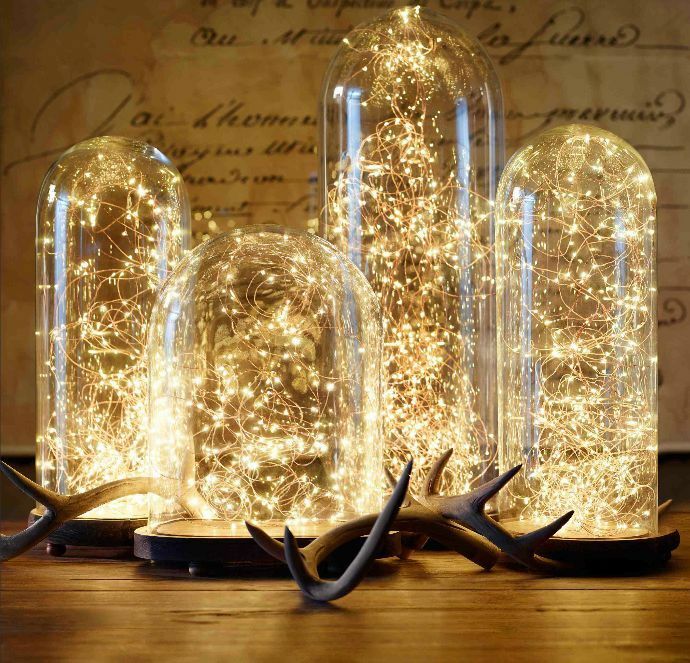 A cool looking model of fairy lights for sale can also make an excellent gift for all types of people. They make exceptional gifts for someone who’s about to start college or for Christmas or any other celebration. A shape that resonates with the receiver can make him or her very happy and thankful we discovered by reading the best reviews of fairy lights. When you want to buy everything you deserve but still save some money, there’s no better investment than purchasing products that are energy efficient. And this category of decor makes no exception, especially if you want to leave them on for an extended period as you would want to do with a quality fairy light. Strings that have a high number of bulbs and that are very bright usually consume more electricity, but if you are not planning to sue them all the time, but rather at special occasions that might be ok. The same thing applies if you buy very long fairy lights. Reflect on why you might need such a decoration and look for models that respect those needs. These days it is more about finding the balance between three crucial aspects: energy efficiency, price, and attractiveness. None of them are to be ignored, and you should make no compromise. With the right purchase, you can get all of those and utterly transform your house into something that looks taken out of a storybook. No other decoration is as versatile as these. The way you can use them, and the plethora of purpose they have is practically endless, especially if used by a creative mind. They can be fantastic gifts, decor to make any situation romantic, a relaxing touch to a study room or even something to beautify your shelves. You can put them in jars and decorate any table for a special dinner. You can hang them on walls or trees and create unforgettable summer memories with your friends, over a nice glass of red wine. Or they can help you in winter by making even a cubicle look Christmasy and inviting, thus making you even more productive. They can be the go-to elements when you have guest over and that you want to impress with your great aesthetics. Or if you are a person that loves making Youtube videos, no high-quality video should miss from its background such a product which gives it a warm tone and coziness that will make everyone want to subscribe.